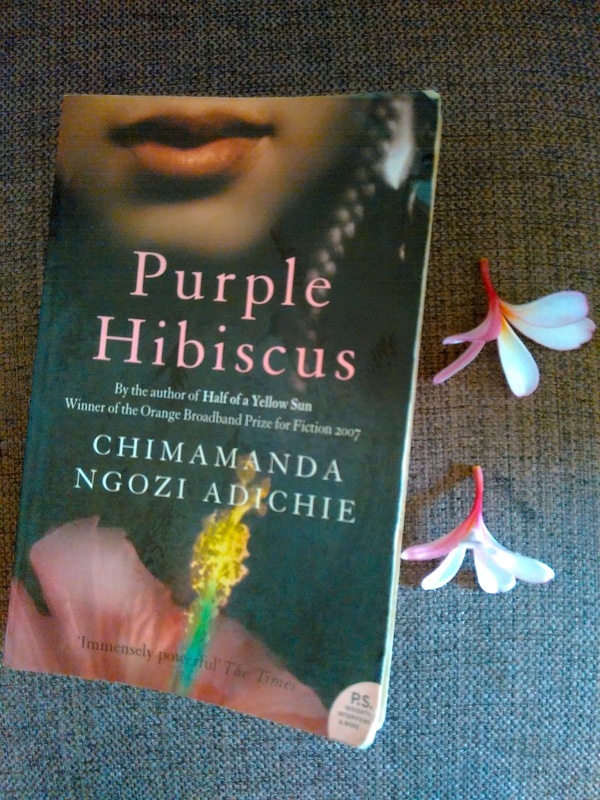 Purple hibiscus was a window into the life and politics in Nigeria through the eyes of Kambili, the narrator. I haven't encountered an author in recent times who could captivate me in a way that I forgot my surroundings, and instead smelt the fufu cooking in Sisi's kitchen or the wet sand of Nsukku's rain. Adichie's prose is simple yet transporting, so intimate that you get into the garb of the characters and throb with their pain and joys. The characters are so intricately etched that you are invested in the story throughout, egging them on mentally as you turn every page. The book makes you hungry to try out the African cuisine. I searched the internet to source a place where I can buy their colourful wrappers. And while I am at it, maybe I will try some cornrows in my hair as well! Adichie is that good in convincing us about the beauty, tradition and richness of the land. Kambili's thoughts - from fearful to independent - are so gently evolving that we, as readers also grow with her and the story. The political instability of an entire nation is wonderfully portrayed in the microcosm of Kambili's life. The best characterisation is probably that of Eugene; you definitely have not seen such a layered believable and scary human being anywhere in the books. The dichotomy in which religion exists in today's world - destructive and constructive - is displayed in the contrasting natures of Eugene and Father Amadi. I cannot stop thinking about the book although it is over a week since I finished reading it. This is a simple tale so well told that it keeps tugging at your insides asking questions on life, religion, growing up and truth.